When I woke up on day 1, the theme I most feared would win had won. “10 seconds”?! Too specific. .. Urgh. On the other hand, that’s how I always react, I remembered. This post mortem was written a little late, and pretty hastily. I filled it with as many pictures as I could, so that you’ll have something to look at while enduring the ramblings. Keep the scope clean and simple, center around one core game mechanic. I do not consider myself a good game designer. I’ve been programming for longer than I’ve been “properly” designing and evaluating gameplay. Thus, the lure of writing “cool code” is always there and gets in the way of making a fun game. All of my previous entries were in 3D. I love programming 3D game logic. But 3D does add complexity in every stage of development. And I always spend too much time in Blender, modeling, animating and UV-mapping(I also wasn’t really keen on pursuing the minimalism angle again). Make use of the freshest gamedev knowledge in your brain. During the summer I’ve been working on a 3D platformer, so all the platformer specific stuff was right there in my brain, unboxed and ready to be picked. I only needed to remove one dimension(and a boatload of quaternion math). Simplify, simplify! Make the game longer than 10 seconds. I regret waiting this long for writing a post mortem. I’ve forgotten a lot of my brainstormed ideas. There was something with duels and seconds, but I never could center a fun gameplay mechanic around it. Later on I’ve seen several games using this interpretation, which is awesome! There were also some clock ideas, with collecting the second marks of a clock as well as some idea of just making some arbitrary collectibles and refer to them as seconds(ugh). After some thinking I wondered if I could do something cool with a rewinding ability. There are of course a lot of games already with this kind of functionality(Blinx, Braid, Ratchet & Clank, Super Time Force, to mention a few). I also wanted to keep the scope simple and by adding time rewinding (and possibly splitting timelines and paradoxes and gigawatts and what have you) I could risk ending up with something very bloated,unpolished and confusing. So I thought about the very first Mario Bros and its single screen layout, and decided to make something similar to that. What I ended up with in the end is a game in which you have to defend a fragile artifact from invading monsters as well as guide said artifact to a vortex in the sky. To elevate the artifact you have to rewind time (let’s call it a time defying magical artifact, mmkay?). Rewinding time also let’s you try that rewinded section of time again while your “old self” replays itself. Easy peasy. I later realized, to my horror, during a debug session, that this was very much like the – what I thought at the time – super confusing shadow levels in Braid. I think I should go back and replay them, maybe I’ve learnt something. Oh, and also, you can rewind a maximum of 10 seconds into the past and you have to wait the rewinded amount of seconds for the rewind functionality to reload. Which is a little too similar to what ended up being the premise of the very last episode of Futurama. Cool. Creepy. My choice of working environment was my classic Unity setup. So the very first thing I set out to do was to make a rewindable replacement for the Unity engine’s time stuff. It was easy but fun, and I wasted a couple of minutes just watching the seconds ping-pong back and forth. The simple pleasures. Another thing I didn’t want to do this time around was to shove all of the art creation onto the last day. I wanted some pretty stuff in the game asap! As I didn’t really know what I wanted, I began by sketching out some rough thumbnails. My main source of inspiration for the art was the book cover of the awesome novel by Arthur C. Clarke: “The songs of distant earth”. Which is also the inspiration for the awesome album by Mike Oldfield going by the same name. 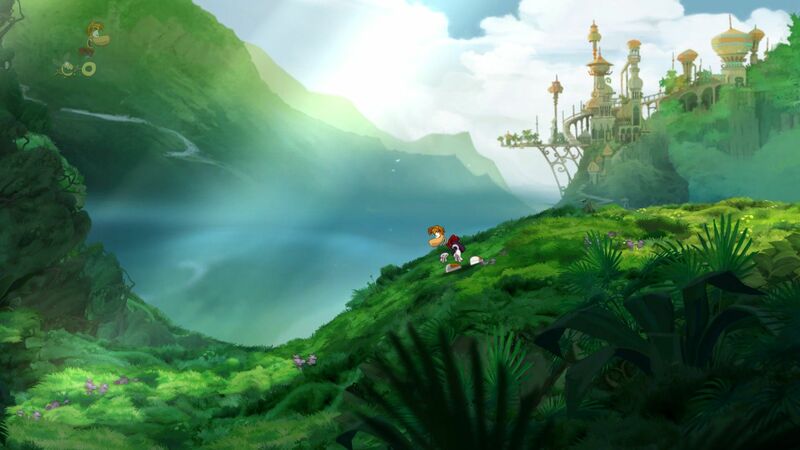 Another source of inspiration was the beautiful grass-, wood- and dirt art in Rayman Origins. Such a pretty game. Also, I wanted to add some red hues in all that green. After having drawn for a while I got the urge to program some more. I began implementing the player controller. The already existing rigidbody system in Unity is pretty neat, and you can get some really nice results when using it for player controllers instead of the built-in “character controller”-body. And you don’t have to worry about collision bugs and explicit collision events later on. The workings of this was also fresh in my memory from just having implemented similar stuff in 3D, so its implementation went pretty smooth. After I had it working I hooked the player object up to the time buffer component from before and added some state handling to switch off input and so on during replay. I then went back to working on the level. I began by blocking out all the platforms(based on the layout in the thumbnail), and then I began working on the final art for the platforms. I made several separate chunks with grass and rock formations which I could build up the level of. Then I got determined on making a sprite shader with lightmaps and other stuff. Big mistake. I got completely stuck with some of Unity’s weird sorting behaviours and spent too much time reading confused forum entries and lackluster documentation. I abandoned the idea after a couple of hours, and went for a simpler and built-in shader. By then my mood was at rock-bottom, but luckily this was the only real bump in the road this time around. I then shifted my focus back to the player character. Based on the time I had left and not really determined on the art direction I wanted for the characters, I decided to make the player low-res and in black and white. I figured the most importart part was to have the silhouettes there and if I got time to spare I could colour the characters. As I never got that time however, I’ve gotten some critique of the kind of mish-mashed art style I ended up with. And I understand that critique. One could counter with that the mixture of monochrome characters and coloured landscapes are “cool”. However, as it wasn’t my intention to make it that way, the result does not feel intentional, uniform or polished. After I felt that the player controller and rewind-stuff was solid enough and the roadmap of permuting objects and components into the remaining game elements felt clear enough, I began working on the music. Prior to the compo I had discovered a pretty neat music app for iOS with simple controls(perfect for a tone deaf audio noob like myself) but with enough depth to make relatively unique samples. It’s called “Figure” and I really recommend it if you want to make some simple loops or just play around. I used Bfxr to make sound effects, I had planned to record some as well, but by the time I got around to start making sound effects I didn’t feel like I had enough time to spend on recording and editing. Maybe next time I’ll do it as (based on the critique I’ve received on my entries so far) bleep-bloop effects aren’t too well received in non-pixely games. And I can see why they might feel a little out of place. The last ten hours went by in a blur as usual and this time they involved GUI, particles, sprite animation, a rewindable animation system, enemies with their own animation, some super quick copypaste-magic for enemy AI as well as end-game conditions. I was stunned by all the great feedback I received this time around! Thank you all once again! So in the current post compo version I’ve changed some of the enemy spawning behaviour, added extra difficulty levels and added a rewind punishment when touching enemies(instead of being invulnerable). I’ve also made some changes to the weapon, making it less effective when rewinding far, and more effective the longer you do not rewind(adding some more depth and ways to strategize). I’m still open for more feedback though, so you’re welcome to try the post compo version if you’ve rated the original! I had bought all the food and snacks and made all the errands and downloaded all the tools beforehand. Development went smooth. Went to a friend that was also participating and worked there. A lot more fun when you’re more than one. Also, it was a bigger apartment with more shade, haha. Kept it simple. One core mechanic, and a pair of sub gameplay mechanics. Kept the code and art modular, but didn’t overdo it. Ugly code? Yes. Who cares. Very few of them. One nasty shader ordeal, threw it away. Some of the gameplay aspects confused me, so I didn’t catch some pretty large flaws. Fixed some for post compo. I want to allocate more time for game testing next time around. First time I streamed, I got some positive feedback on the music I played. But other than that I guess my showmanship is pretty lacking, as I had a maximum of five visitors at a time. Maybe I should post more links to the stream next time? I don’t really know. I would have liked to allocate more time for creating prettier character sprites more in tune with the environment. All in all, I had a blast making this game and it has better gameplay than my previous entries in my opinion. However, the core gameplay turned out to be yet another cool-code trap sorta. I did not pour hours upon hours on getting it to work though. Making some neat art during day 1 instead of postponing created a great morale boost. Making a 2D game made it easier to create polished art in the style that I’m most fond of, and I got more content done in the 48 hour timeframe. 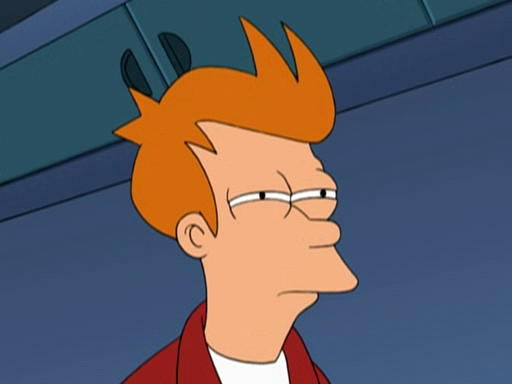 I’ll be closely monitoring the amount of clicks that link gets. Go on, make my day. So the first issue people have had is with the control system. It’s a top-down game and the controls are basically up and down to go forwards and backwards and you character moves in the direction it’s facing (towards the cursor). I thought is was a pretty simple set-up, but I guess the main concern is that you don’t have the ability to strafe! If I ever make a top-down again I’ll remember this. If you do happen to play the game, please let me know your thoughts on the controls. The second issue was a lack of tactical options so its basically just running and shooting at enemies until you die. I tried to add some sort of strategy by adding pillars that you can take cover behind, but it seems that wasn’t enough. Are there any suggestions as to what else I could have added to improve the game in this regard? Also, when you die, does it seem to be because of a fault on your part (bad aim, not using those convenient pillars etc) or does it just seems to be unlucky (the game’s fault). Finally, the main positive feedback I’ve received is on the audio. I’ve learned that while creating your sound effects with your mouth might make you feel just a tad silly, it sure as hell is a lot of fun. I hope to do it again in the future. A short video showing the gameplay. Impetus has lost consciousness and her systems will fail in 10 seconds. Death is inevitable, but it can be delayed. Sustain Impetus’ life by pressing the button, which will reset the timer. Once it runs out, the game is over and can never be played again. Switch on the game’s sound in the upper right corner. Feel free to play one of the soundtracks provided on the site along with it. A game by Dominik Johann (@zerstoerer), Jan Oelze (@JanOelze) and Jeremy Lonien (@Ludonaut), made in a couple of hours. Got time for that? V1.0 – Human submission nearly complete. For this LD contest we give you ‘Got time for that?- a game that is really three games! Please enjoy this interstellar contribution to your endless entertainment, in our mission to answer that age old query: Will you score? Tools – Unity, RagePixel, Asset Store UnityGUI skins, Creative Commons music, C#. Source available. Play on web or desktop. Soon for Android! My game is pretty passive, just giving you a chance to express what you would text if you had 10 seconds left to live. Minimal story telling and minimal interaction, but I’m hoping people seriously express what they would write if they were presented with that situation. I have a button to tweet out your final words in the end if you so choose. I’m looking forward to seeing what people write (#LD48 #Lastwords). One thing I’m hoping would catch people’s attention, is the statistics at the end of the number of people who dies and number of people who survive the game. One thing I wish I could have done: figure out how to get the twitter button to work in Gamejolt. Unfortunately, I couldn’t so was stuck with having people download the zip of the exe or webplayer. I felt the tweet button was important enough not to change the link to Gamejolt. Thanks to the organizers and other game devs who encouraged me. My entry for the compo is done. I attached some screenshots. Please check out the game. I will probably continue to develop the game outside of the compo. Probably going to add some sort of multiplayer. Let me know if there are any bugs I can fix later, anything I should add or anything I should remove. This is my second Ludum Dare and I feel much better about this one. I am using a lot of random assets that have been collected over the course of the last year, or so. 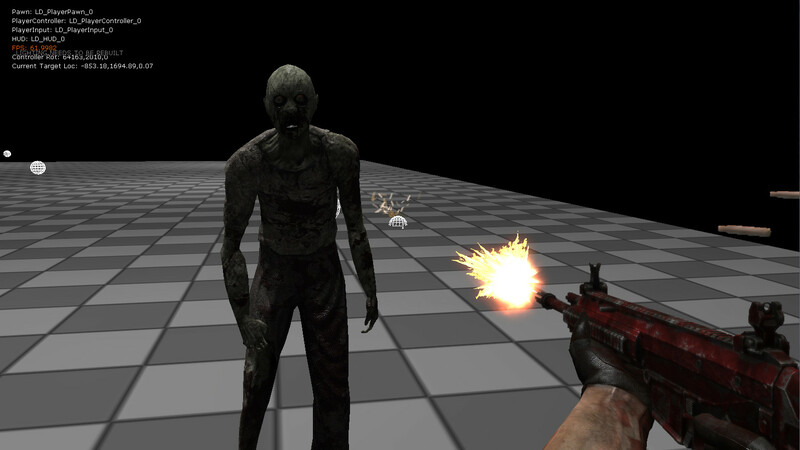 This is also my first FPS game done with UDK, which I find somewhat amusing. I had a few issues with the weapon placement as well as the hand rig but it only cost a couple hours to figure out. Tomorrow I will get the AI working as well as the “10 second” theme involving them. I will also start to work on the level as well as the menu, before wrapping up the game elements on Monday. If you want, I put together a time lapse video of today’s effort. Alright! The real game is starting to take shape! I have four semi-done levels, tutorial, credits, menu. It is looking good! I just need to do bug fixes and other stuff. -I am using “10 seconds” as an action counter. Every action you do adds one to the seconds, 10 seconds each level, etc. -It is getting hard to do levels in text, because I am worried the user will “forget something” because I am not doing graphics. Not bad for two or three weeks of learning C++, eh?! Hahaha. Best of luck guys.